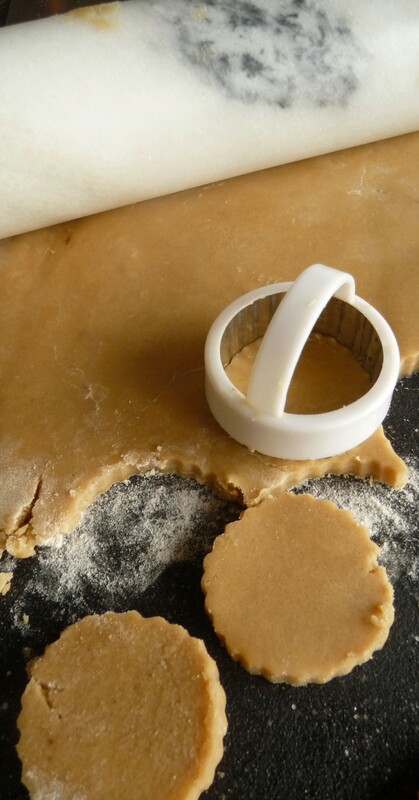 As I do not have a cookie press – I must be on the lookout for one now – I decided to roll the dough and cut out small round cookies. 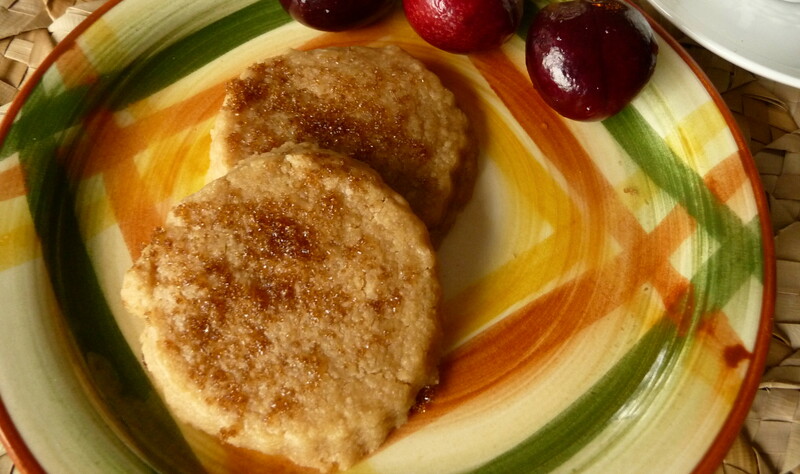 This was easy to do and perhaps a bit less fancy than a pressed cookie. I decided to add a sanding” of demerara sugar on top before baking, for appearance and an extra crackly-crunch. The cookie is tender, has a sandy crumb, and features deep molasses undertones from the brown sugar. It is a perfect accompaniment to a “pousse-café”, espresso, tea, or even a glass of milk. I think the brown sugar cookie could go well with ice cream – coffee, chocolate (of course), or butter pecan come to mind. 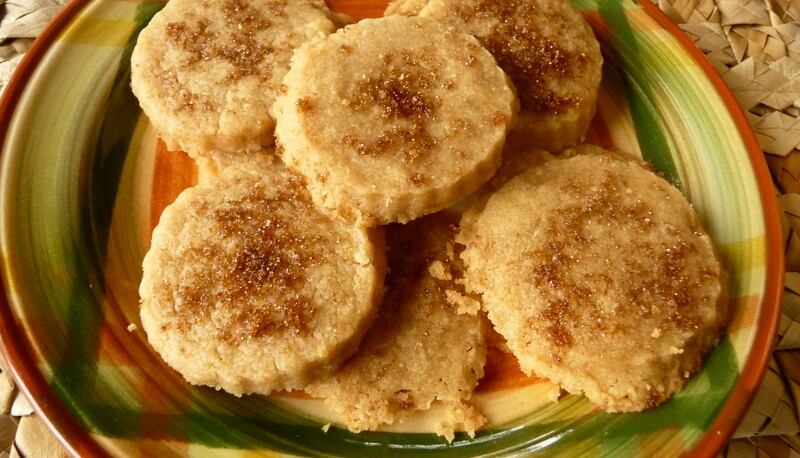 For a classic brown sugar cookie which needs no jazzing up, try Jessie’s recipe. Cream butter on medium speed in bowl of stand mixer with paddle attachment, cream with hand-held beater, or cream by hand with your favourite wooden spoon. Mix in brown sugar, beating until thoroughly blended, on medium-speed. Add vanilla and blend in completely. If using a stand mixer, add flour on lowest speed in three additions, mixing just until blended. Refrigerate dough for one hour, minimum (dough could also be frozen at this point for future use). Roll out dough on floured cutting board until ¼ “ thick. Cut out with small round cookie cutter of your choice (or use a cookie press, as Jessie did). “Sand” cookies with additional sugar. Place cookies on parchment or non-stick-mat-lined cookie sheet. Bake for 10 minutes or until edges are golden brown. Enjoy this blast-from-the-past classic cookie with pousse-cafe, tea, coffee, or ? This entry was posted in Baking, Cookies, Dessert, What Would Jessie Dish and tagged Brown Sugar, classic, Cookie, fast, Old-Fashioned Cuisine, Recipe, Retro, Vintage Recipes, WWJD. Bookmark the permalink. Welcome back, Dan (and Jessie)! Was Maine all you hoped it would be? I’m so in love with the woven mat and earthenware serving pieces in these pictures. The sunlight and cherries, too, make your home look so…homey. Sometimes the simplest things (like a four-ingredient cookie) make the most impact, you know? Thanks, Maddie. Maine was beautiful, as usual, with fine weather and lots of lobster (chowder, rolls, and even on a special pizza with mascarpone). The china is “Homespun”, by Vernonware, from California in the 1950s, so I thought it would go well with Jessie’s vintage recipes. I collected it at flea markets and garage sales years ago. 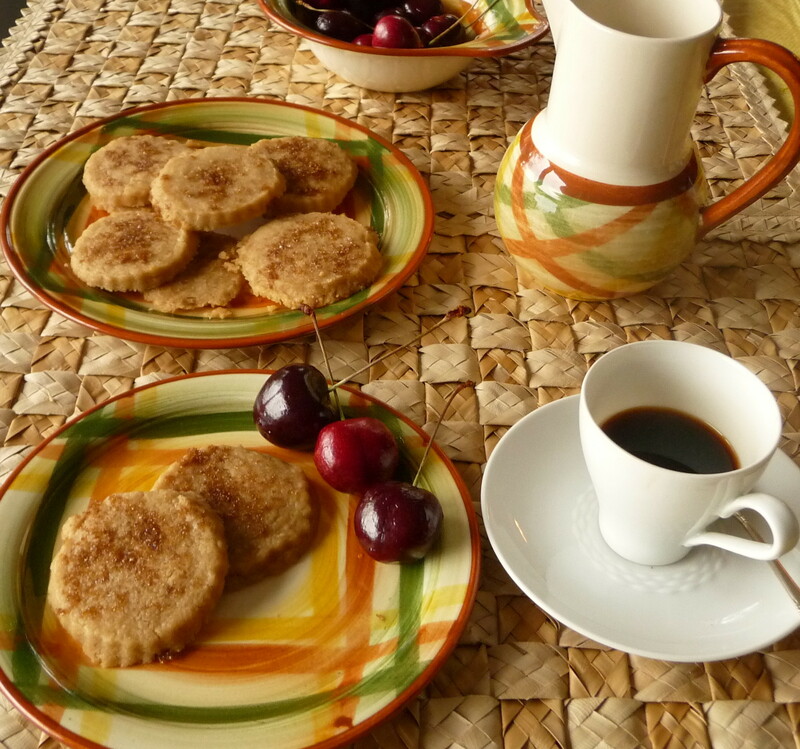 It does go well with the mats we bought from the National Museum of Fiji – of all places! i love this blog and love hearing and reading all of these recipes! I am making them! 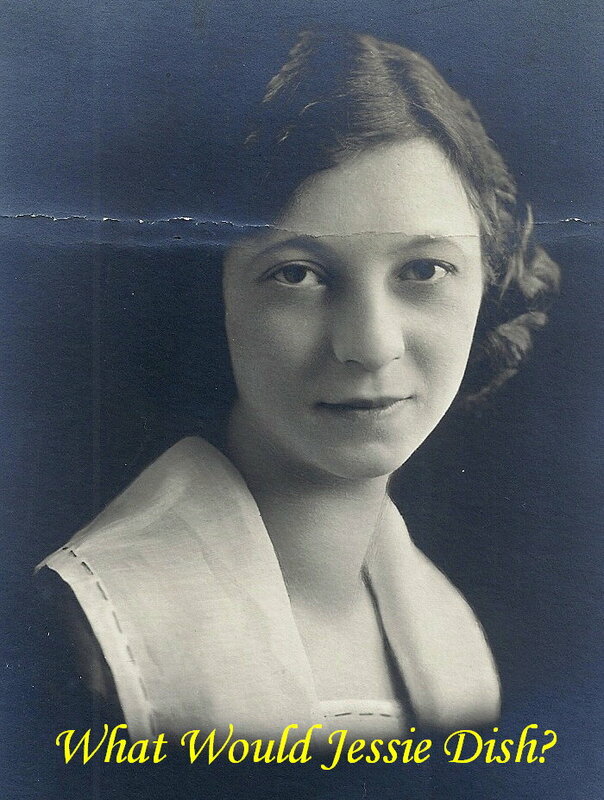 Can you share your Grandma’s life story? I love reading about Jessie! 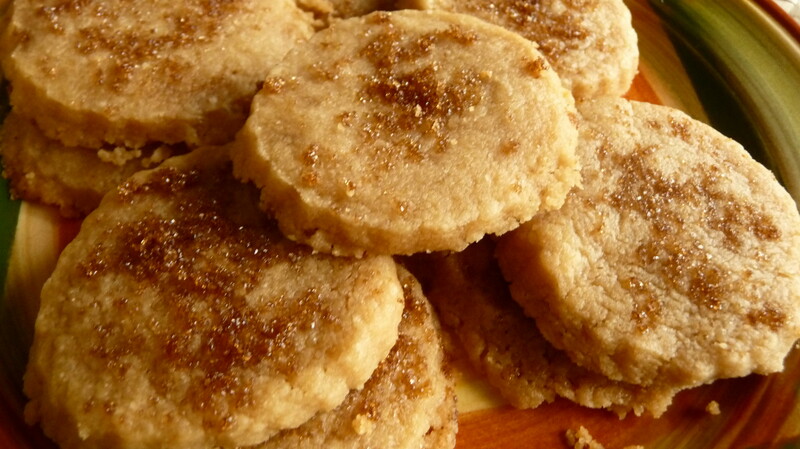 The Brown Sugar Cookies sound (and look) wonderful! I really enjoy seeing the photos of Jessie’s original recipes. It was another era…before we could click on the “print this”. 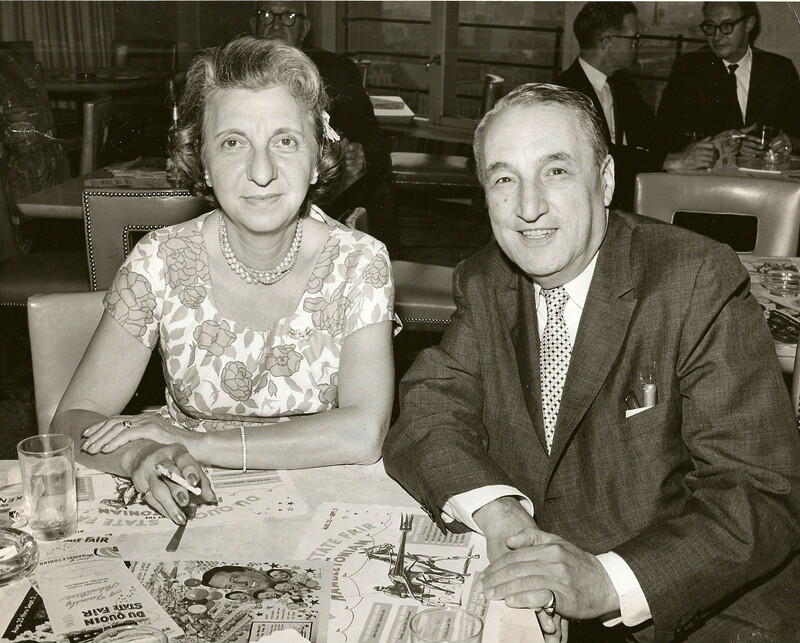 Recipes were written by our moms and grandmothers in a shortened version with just the essential information. Thanks, Kath. I’m glad you’re enjoying the series on Jessie’s recipes. You’re right about the recipe short-hand, assuming that the reader (the mothers and grandmothers, as you point out, and perhaps their friends, neighbours, and relatives) would know all the techniques and directions for the dishes as they all had the basic training in cooking and baking. Hi, Jax. I’m not sure what Freud would have said about your banana interpretation – do you eat sliced bananas with brown sugar?!? It’s very amusing to me, too. 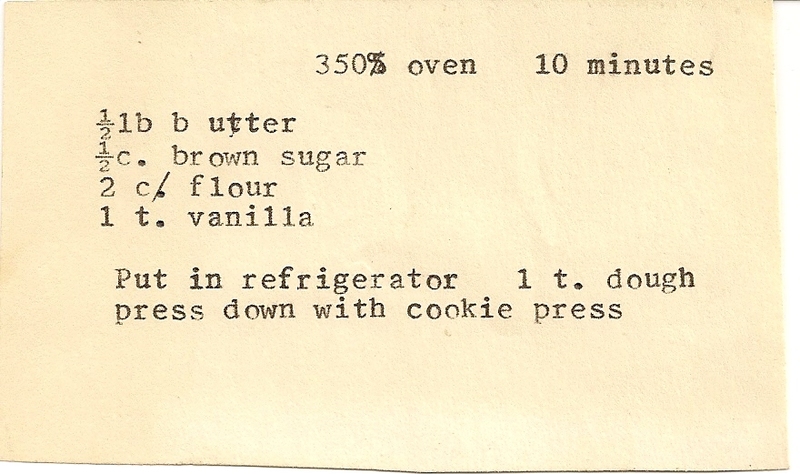 Reports from those who have tried my attempt at these cookies do indicate that this is a good recipe to try. Please tell me what you think! Hi, Rachel. What I like most about this recipe is its simplicity and use of staple ingredients – I always have butter, brown sugar, flour, and vanilla on hand. I’d appreciate your feedback, once you try it out! I certainly have a lot catching up to do on your Jessie series. I’m amazed by the amount of patience she had for typing up her recipes. I think this would probably taste even better with muscuvado sugar and would give it that caramel-like flavor. Thanks, KM. You’re right about the sugar. In this recipe, I still want to try demerara sugar – which is similar though not the same, obviously, as muscovado – for more crunch and depth of flavour.